In the weeks leading up to Rosh Hashanah, over a thousand mezuzot were distributed to Russian Jews in the Siberian cities of Krasnoyarsk, Novosibirsk and Irkutsk by two rabbis traveling on a mission of Jewish revival in the region. The rabbis, brothers Yair and Nechemia Ledayov have been going on similar journeys for several years already, each time in a different part of the FSU region. 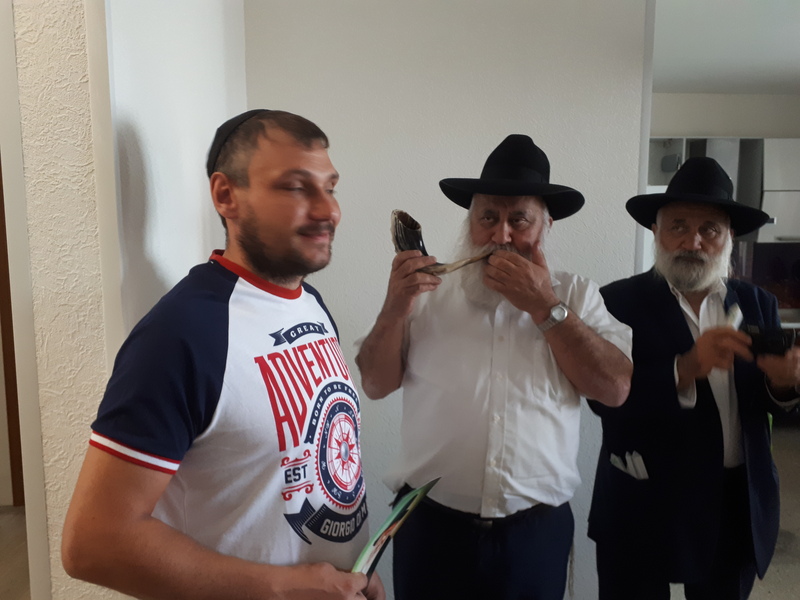 This year they arrived in Siberia to sound the Shofar signaling the approaching Jewish High Holidays and motivating Jewish families in those cities to learn more about their heritage. Many enticing stories were shared, the brothers said, and in one home an old mezuza parchment was found hanging in place for over twenty years. The journey took place for three weeks, over the course of which hundreds of Jewish families in Siberia got to meet the rabbis and share in the High Holiday spirit.